expect to actively entertain your toddler during the flight. toddlers have short attention spans and need near-constant engagement to stay happy. if you're lucky your child will sleep for part of the trip. i wasn't lucky, "e" very rarely slept. (well, i was lucky because she was always very good. but she refused to sleep.) as i advised with packing for infants, packing minimally is not really the best thing. pack everything you might need but keep it as small and light as possible. 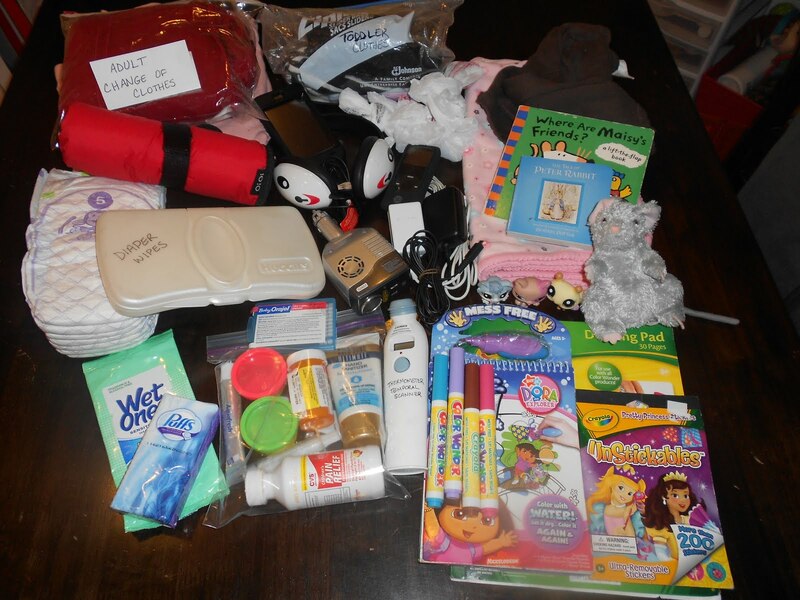 try to keep everything easily accessible so you don't have to search for things when your child is getting impatient. dvd player, headphones, and blanket = happy toddler...for at least 10 minutes. 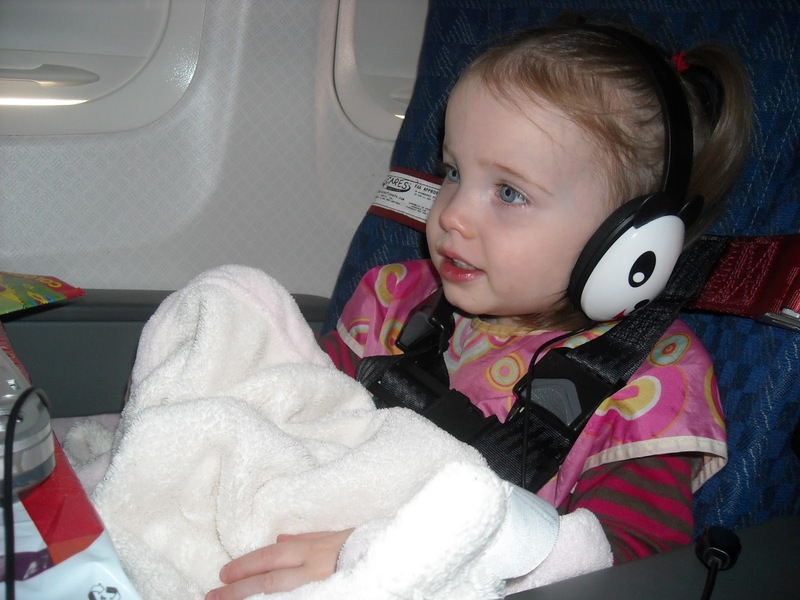 most airlines' inflight policies state that when using devices with audio (dvd players, ipod touch) you are required to use headsets or turn off the volume. please remember that not everyone wants to listen to toddler shows. get headsets for your toddler. if he refuses to wear them let him watch the shows with no volume. when he's interested enough in hearing it he will wear the headsets. when "e" first started wearing the headsets she would wear them for about 10 minutes at a time. then on to the next activity! overnight diapers are a must. sometimes you are unable to change a diaper when you would like to due to turbulence and the seat belt sign. whenever I was unable to change E's diaper in the last hour of the flight her diaper leaked on descent. it must be the change in air pressure. an overnight diaper usually solves the leaking problem. if you follow these lists you should have practically everything you need. i usually bring even more food and small toys but probably only end up using half of them. it's always better to pack more than you need than to be in need of something. again, just keep items small so you can manage your bags and your potentially squirmy toddler. curious explorer, "e". "e" earned elite status at the airline at 20 months. 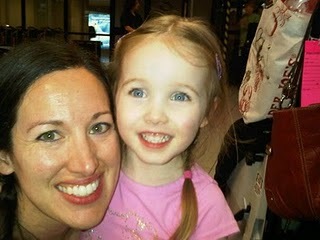 in her blog, "cloud surfing kids", beth gives helpful tips and insight based on her experiences. 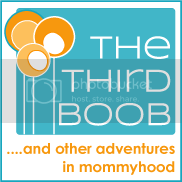 in case you missed her first two post in this series on traveling with infants, you can find them here and here. 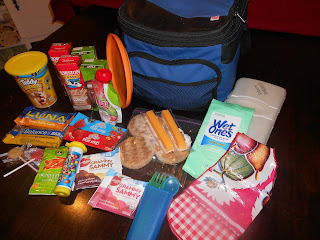 also, don't miss her other post on traveling with toddlers! Thanks for this tip on travelling with toddlers. I will try your suggestion for the next time around that I travel with my niece and nephew.